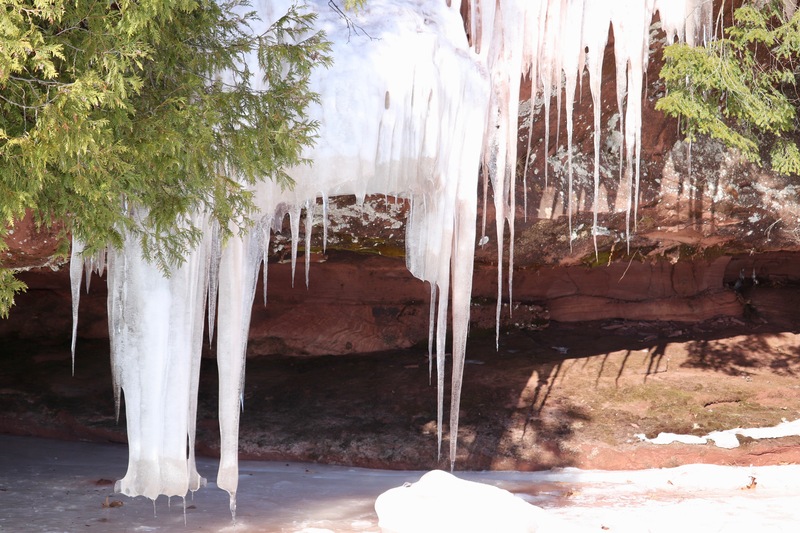 If your tour is cancelled due to weather conditions you will have the option to reschedule or take a 100% refund. 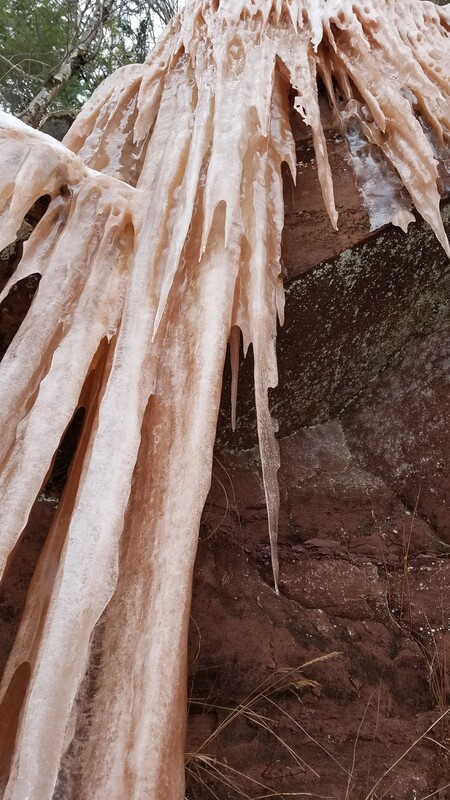 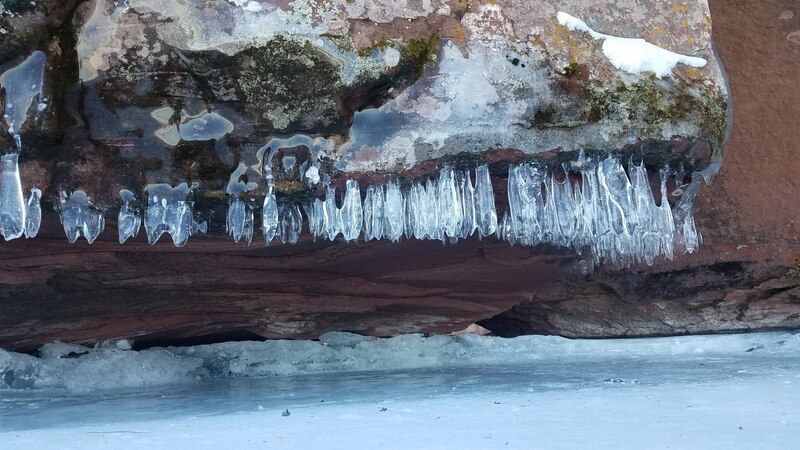 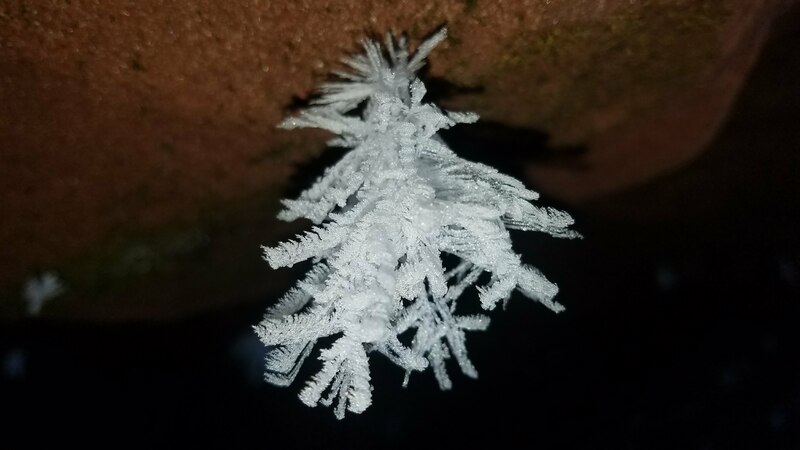 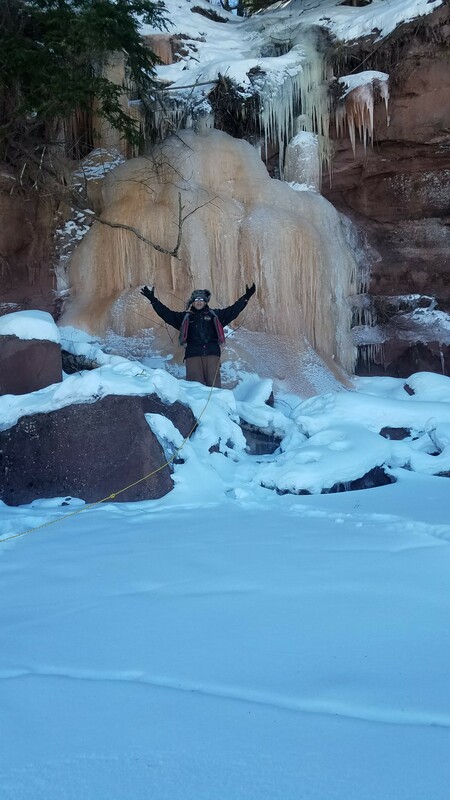 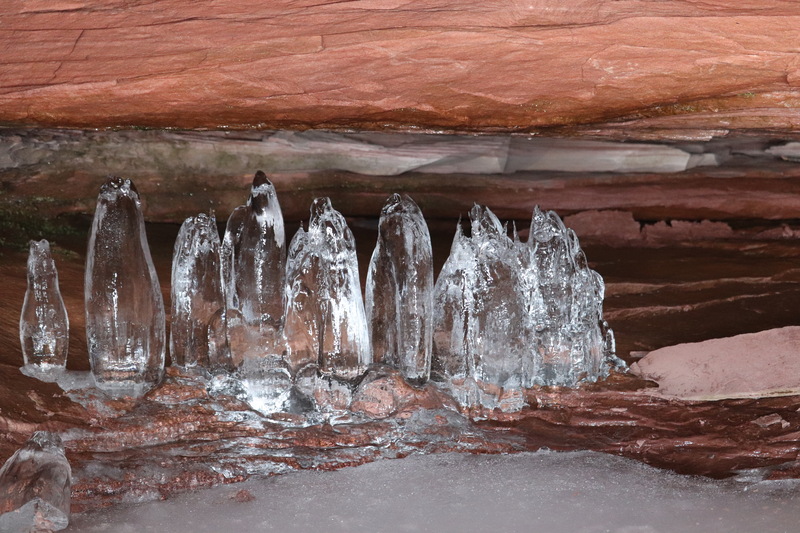 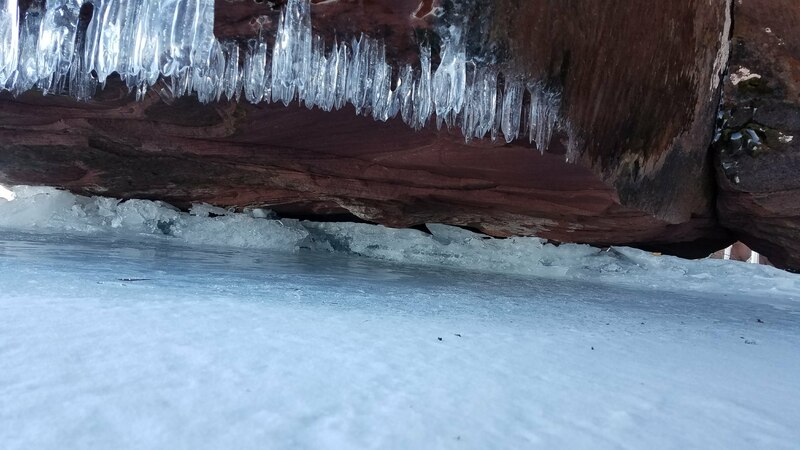 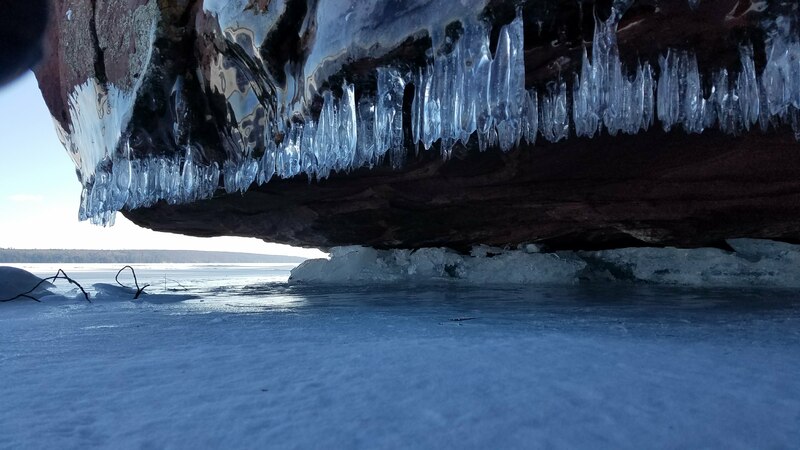 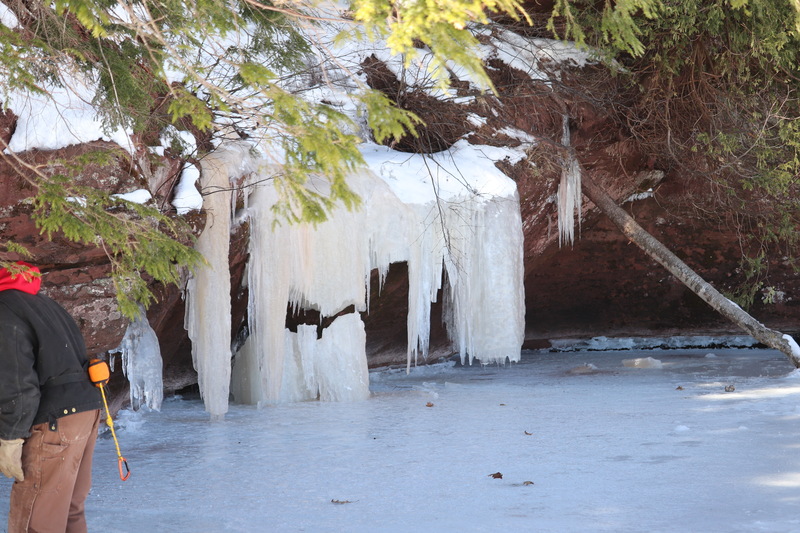 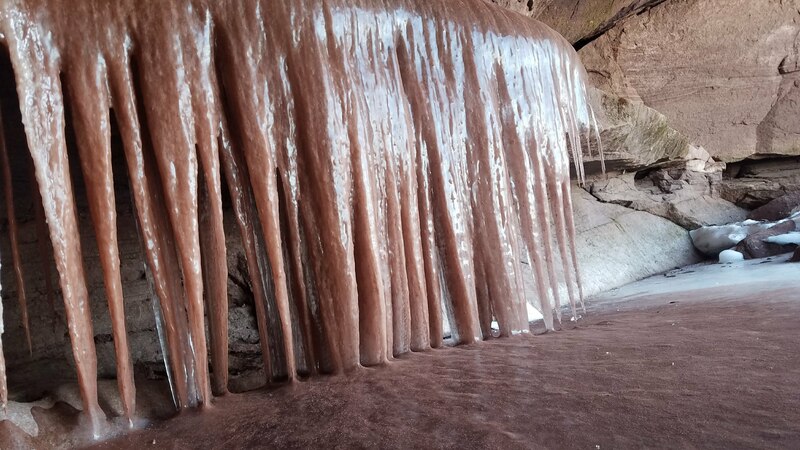 Our ice cave tours are in Red Cliff, Wi where the ice forms quicker and thicker than anywhere else in the Apostle Islands. 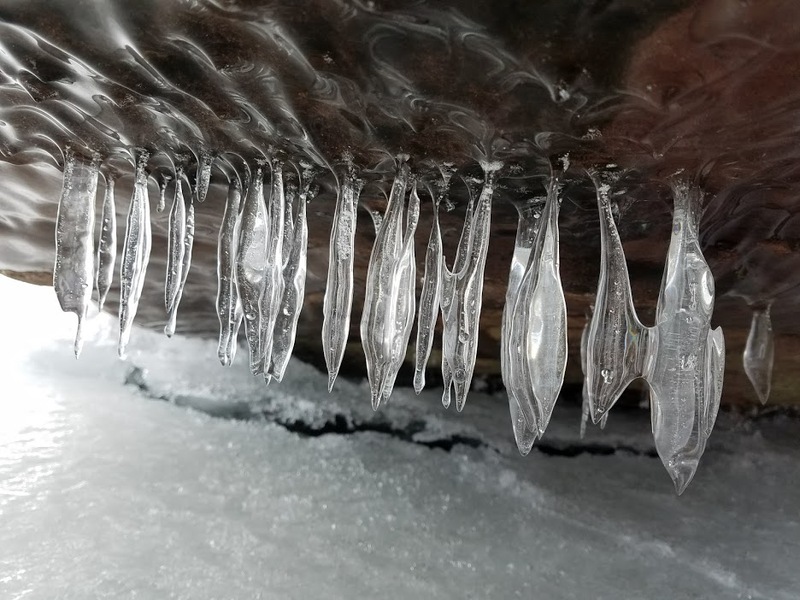 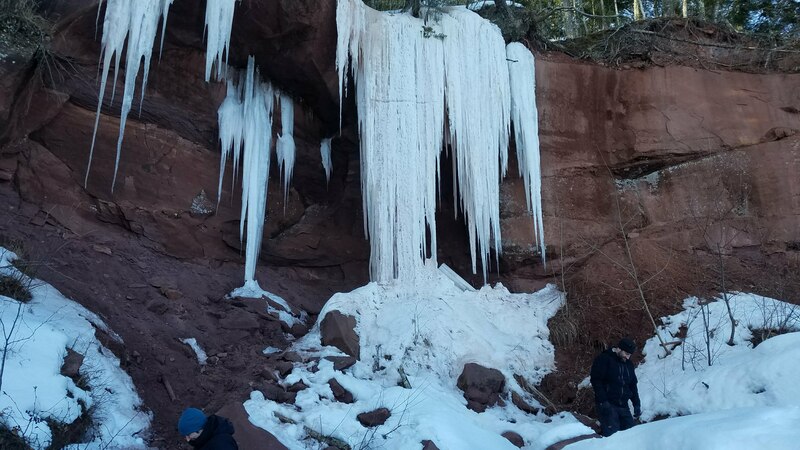 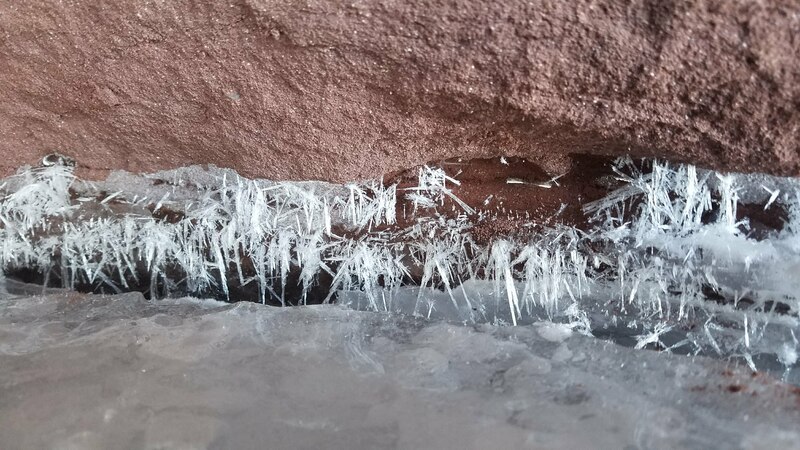 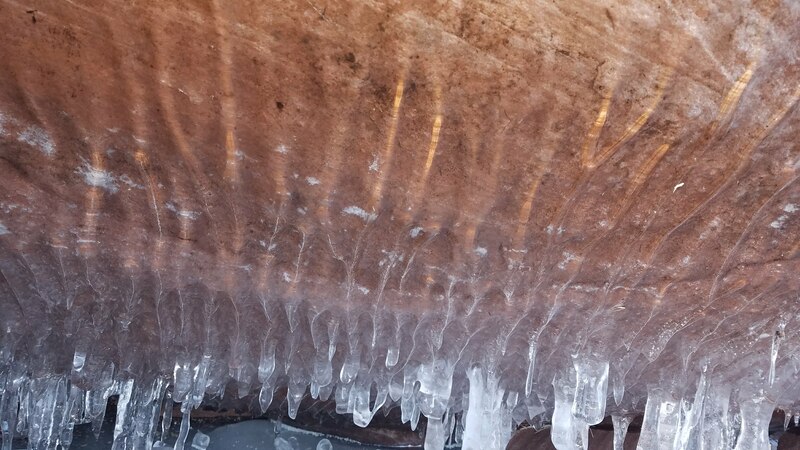 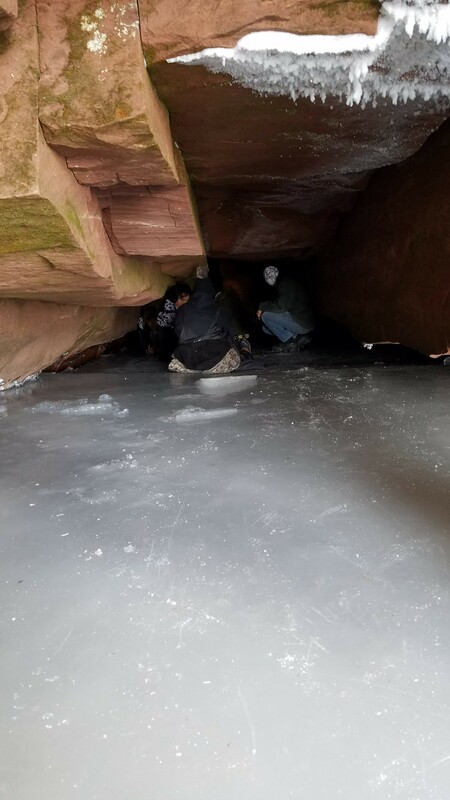 We utilize the same ice thickness standards as the National Park Service and require 12″ of ice a the Red Cliff ice caves before we announce them open to foot traffic. 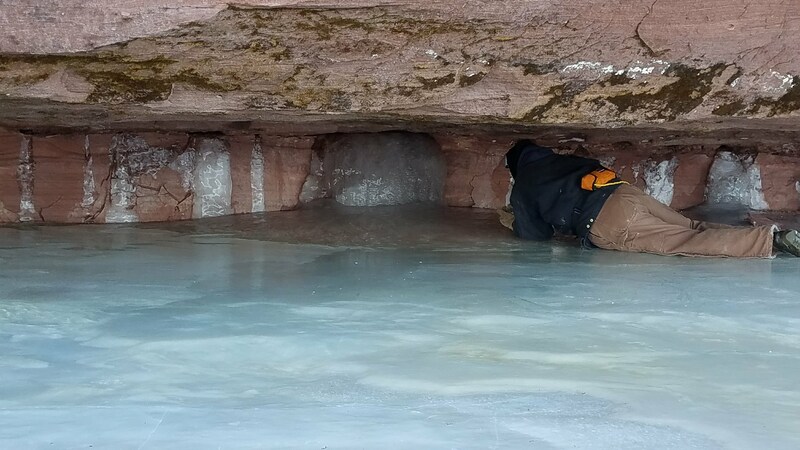 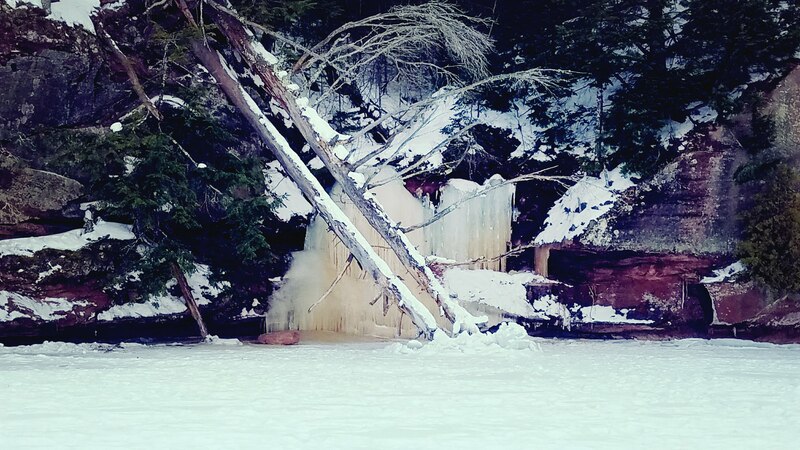 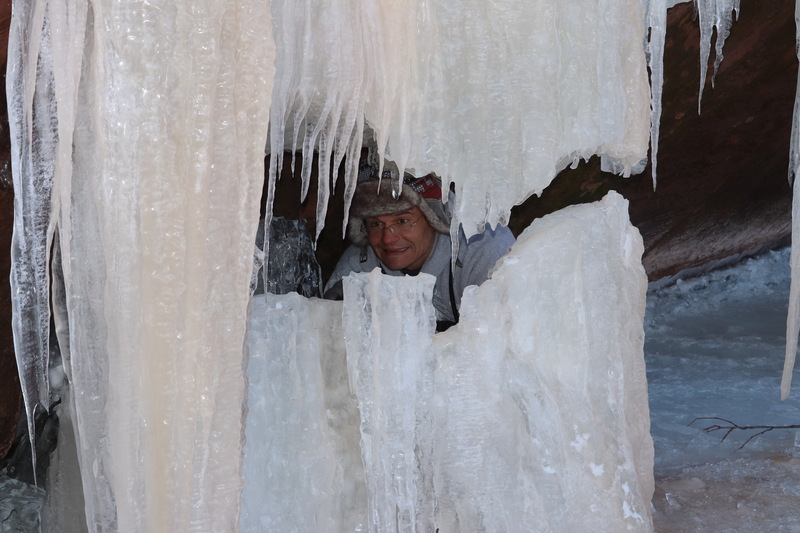 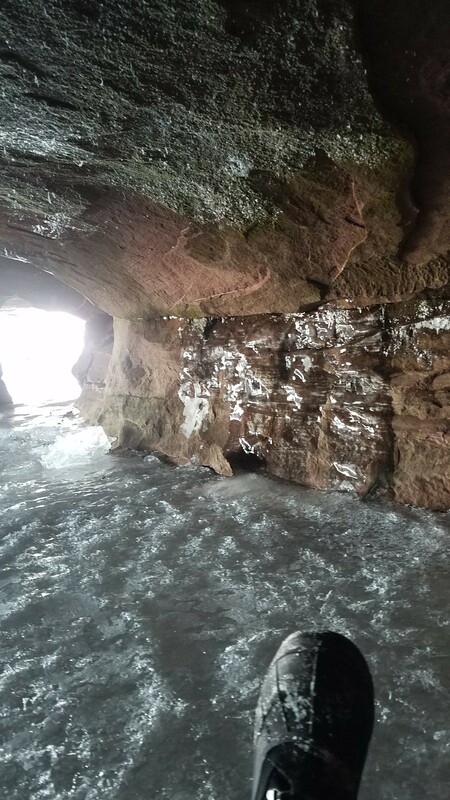 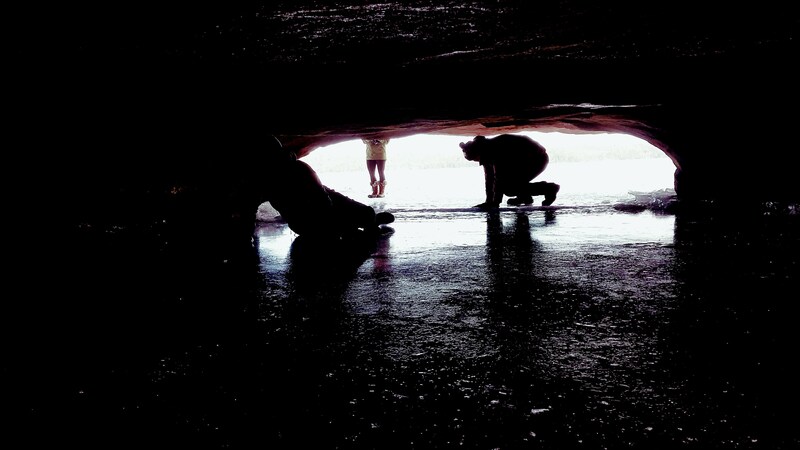 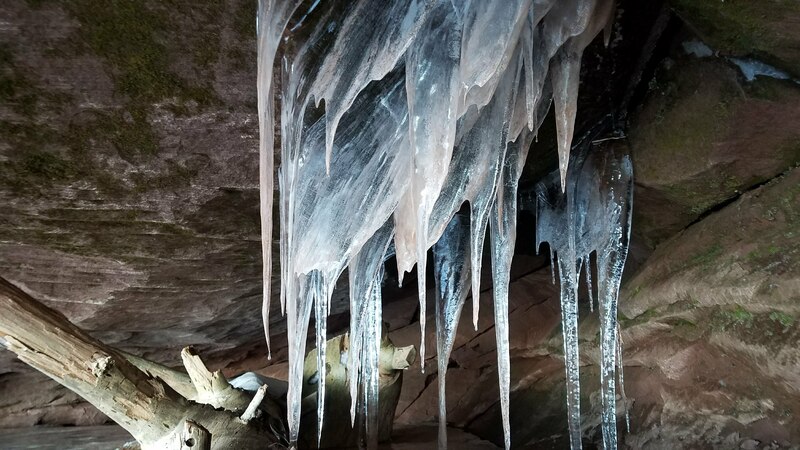 As the Ice Cave season progresses we may venture out to other ice cave locations that have at least 12″ of lake ice. 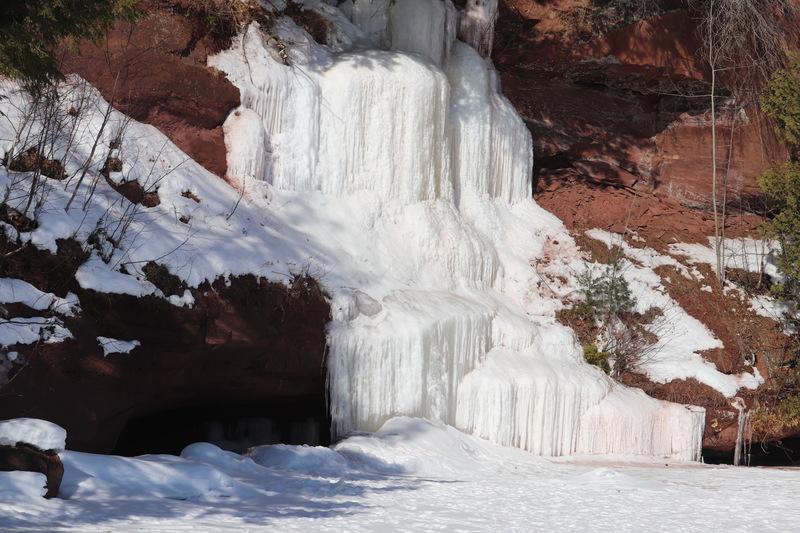 The Red Cliff Ice Caves are located on the mainland directly across from Basswood Island. 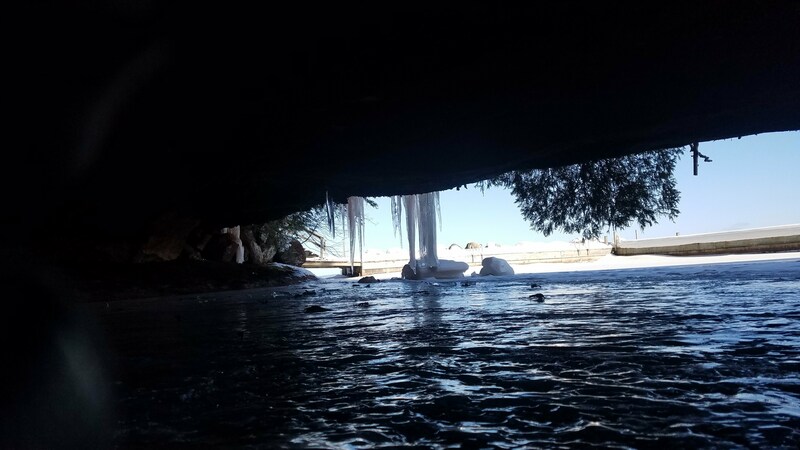 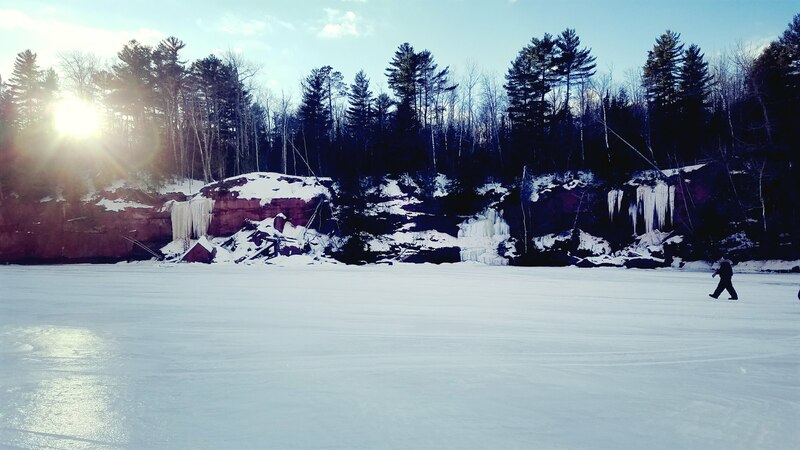 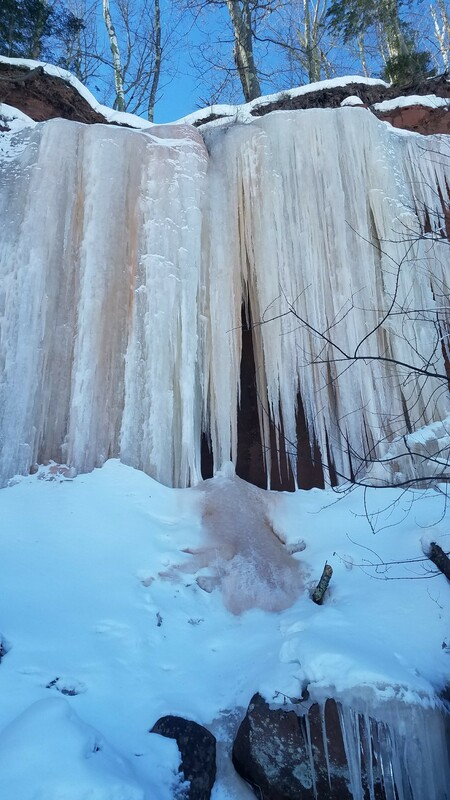 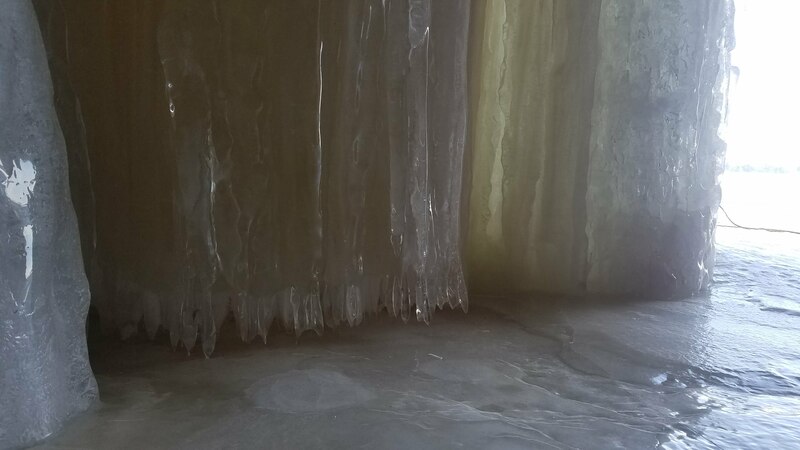 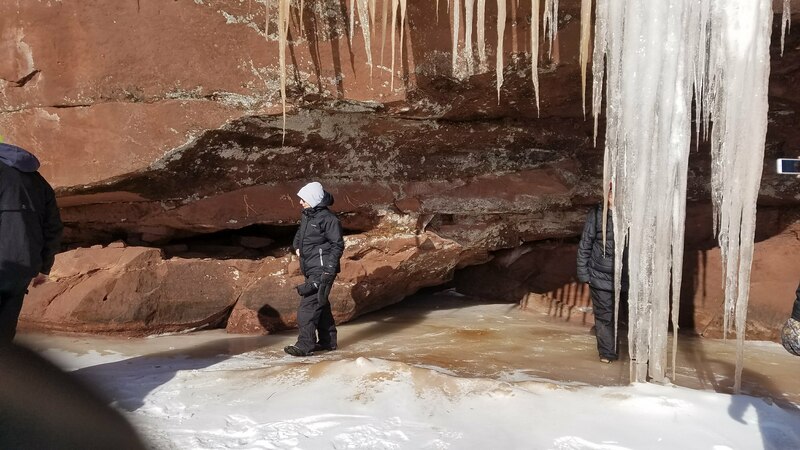 These Ice Caves are not as numerous as the famous Meyers Beach Ice Caves but the sandstone cliffs are just as tall, with frozen waterfalls that cascade to the surface of the lake. 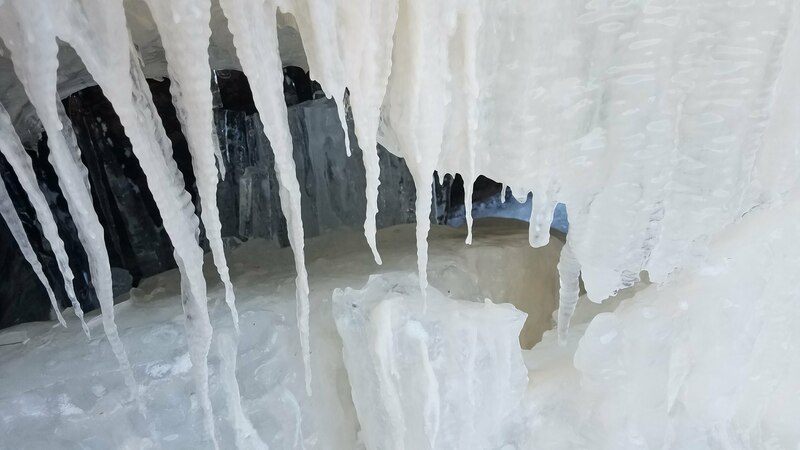 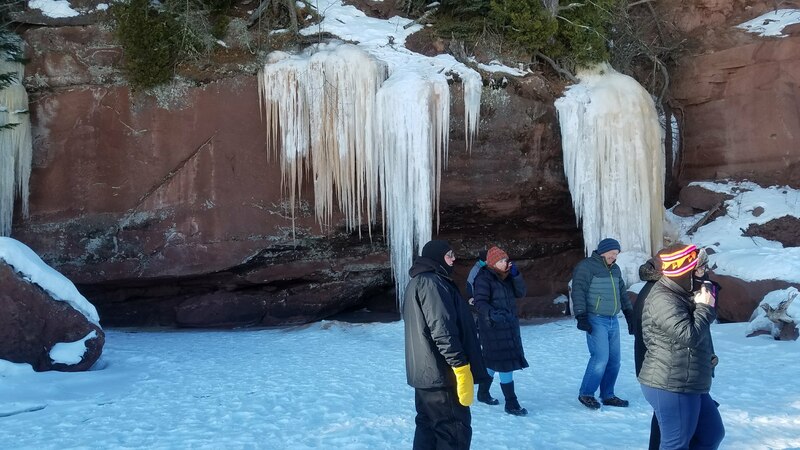 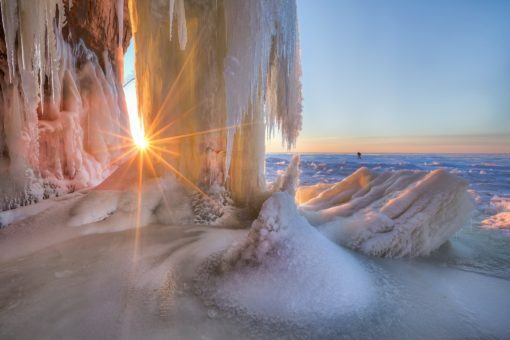 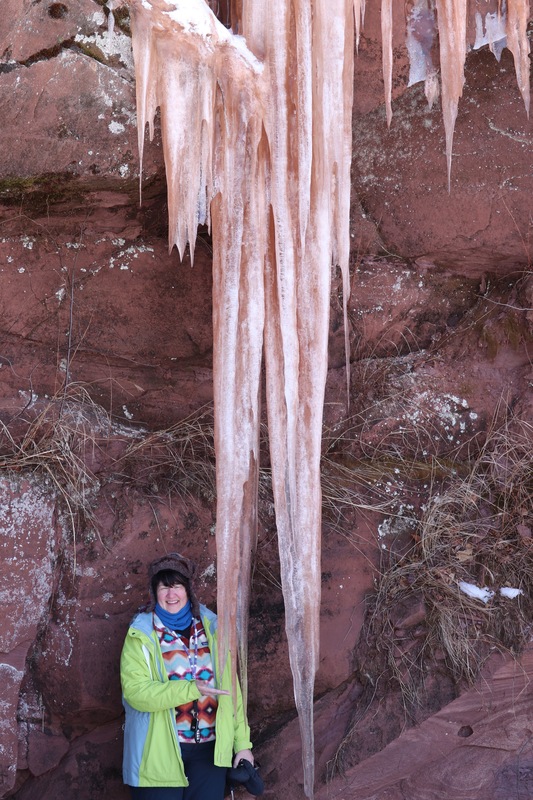 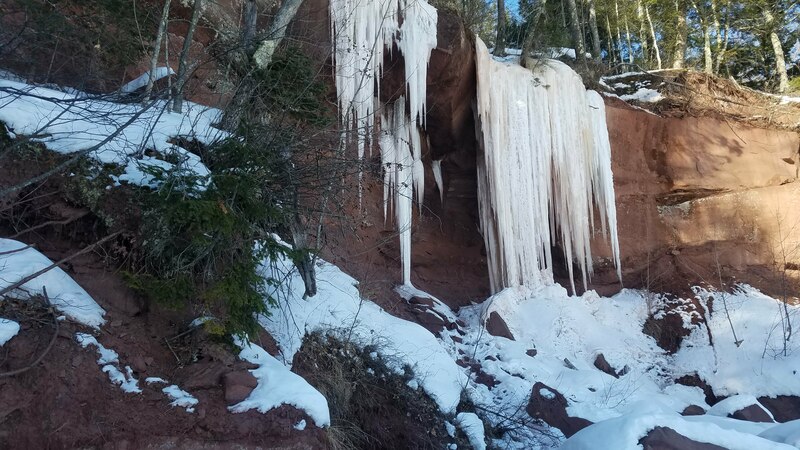 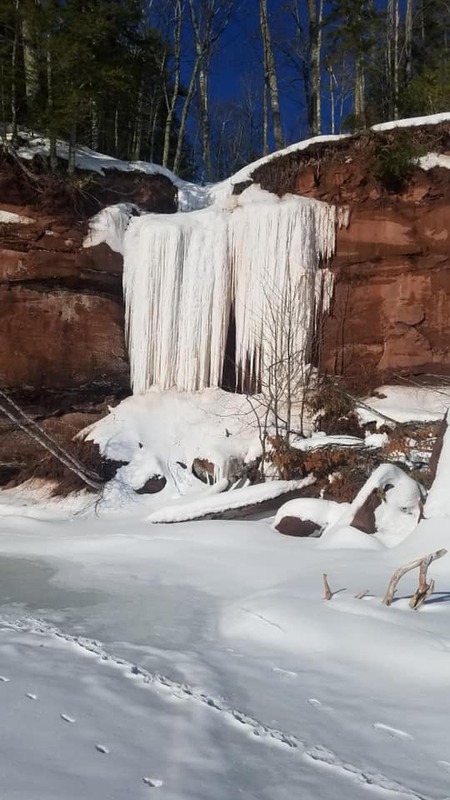 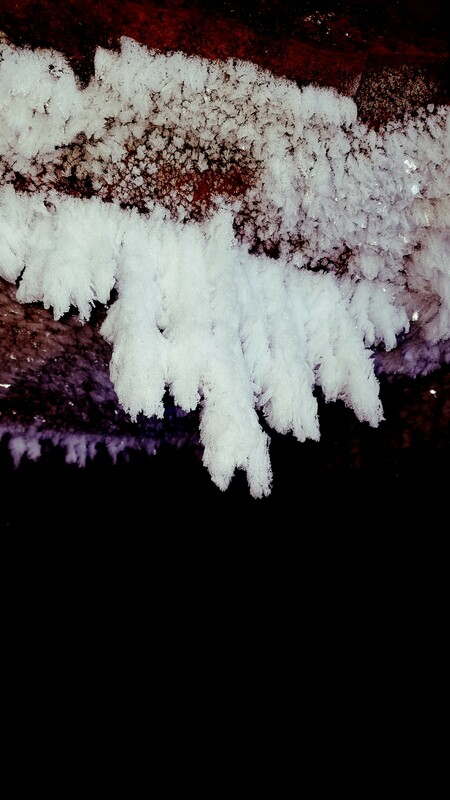 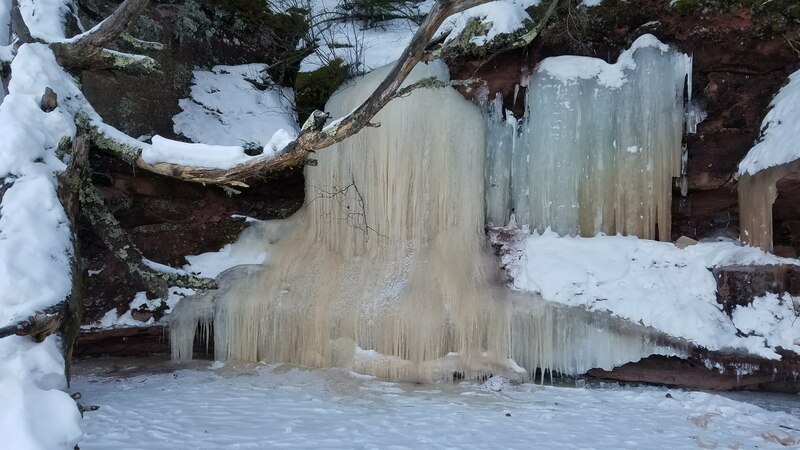 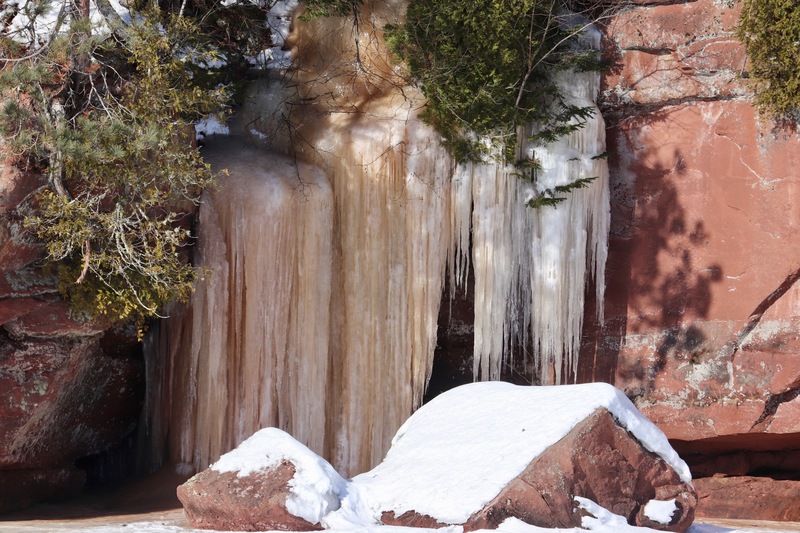 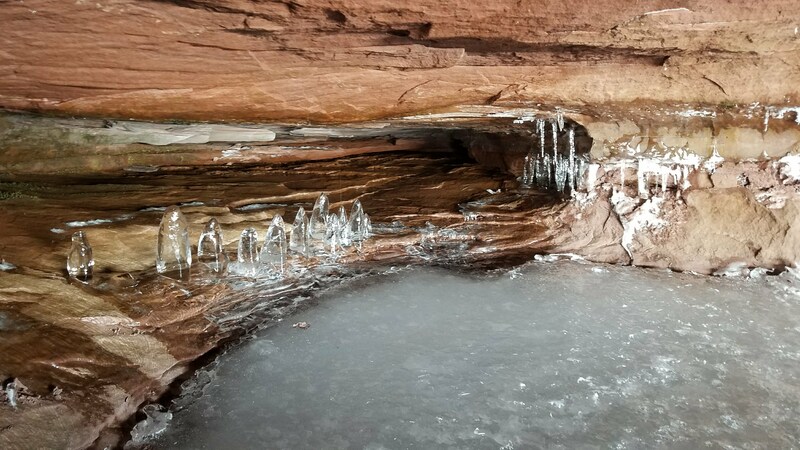 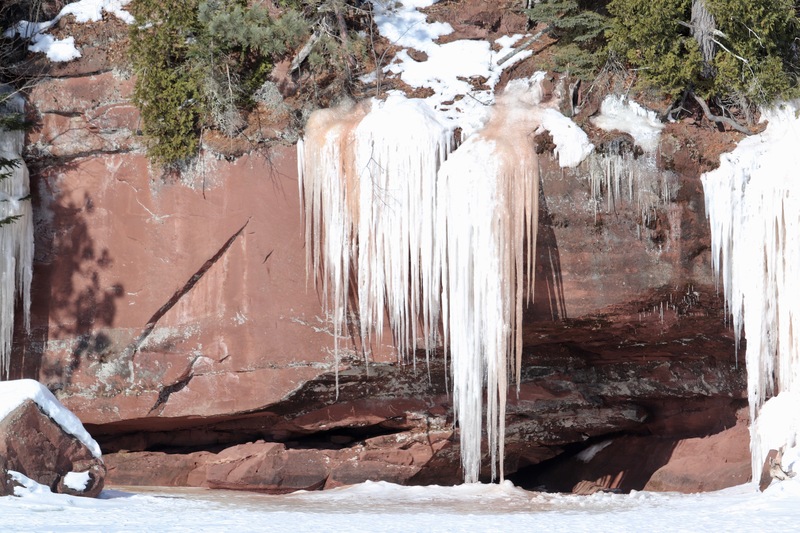 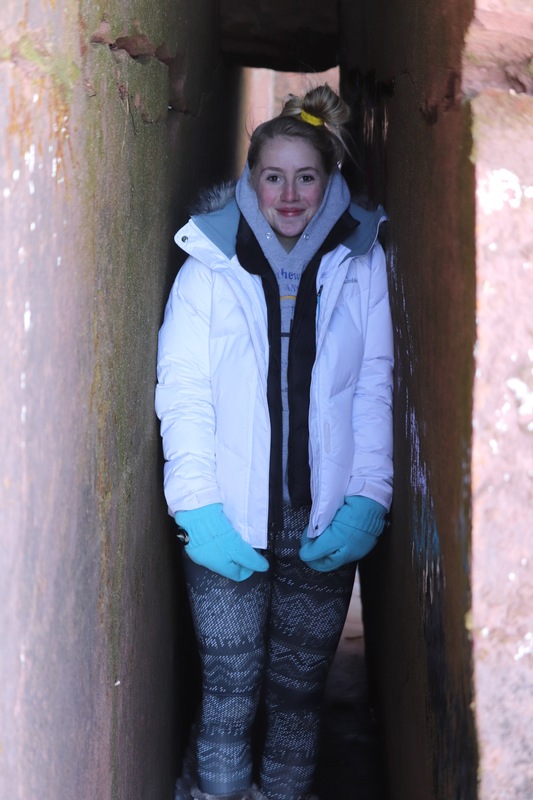 The Red Cliff Ice Caves open up each year in January and offer an opportunity to experience the Apostle Islands Ice Caves without having to deal with the unpredictable conditions at Meyers Beach. 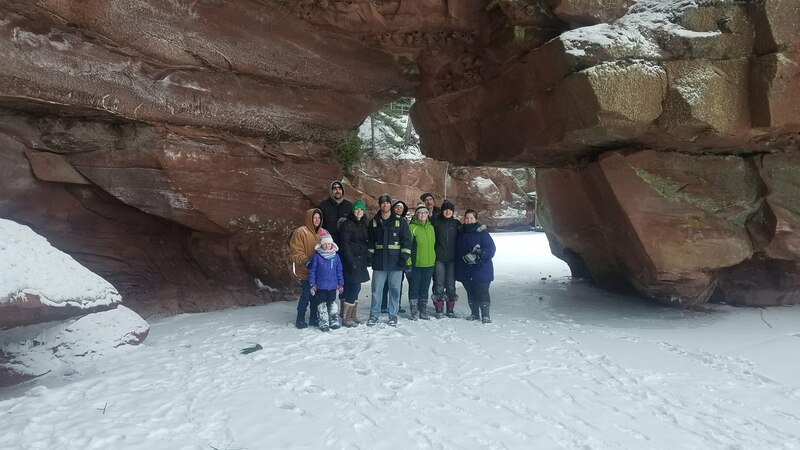 Our guides are Lake Superior Chippewa Tribal Members and have exclusive access to locations along the mainland that non tribal members do not have access to. 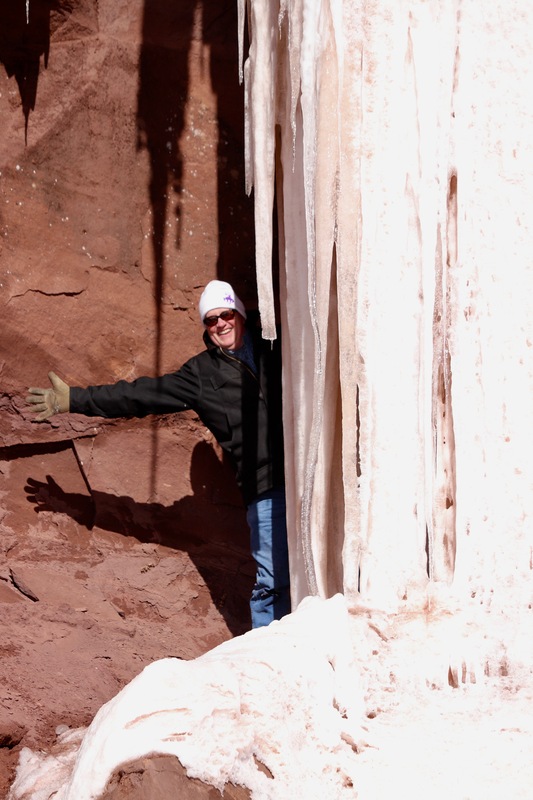 When you are with our guides you will also have access to these locations.